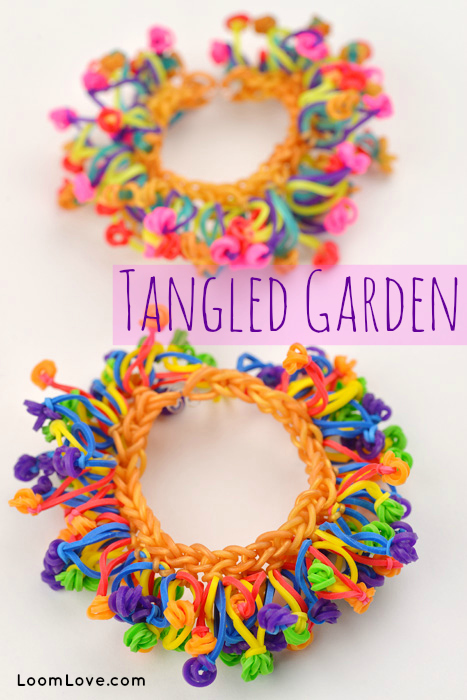 The Tangled Garden is the first bracelet we’ve designed that doesn’t require a Rainbow Loom. 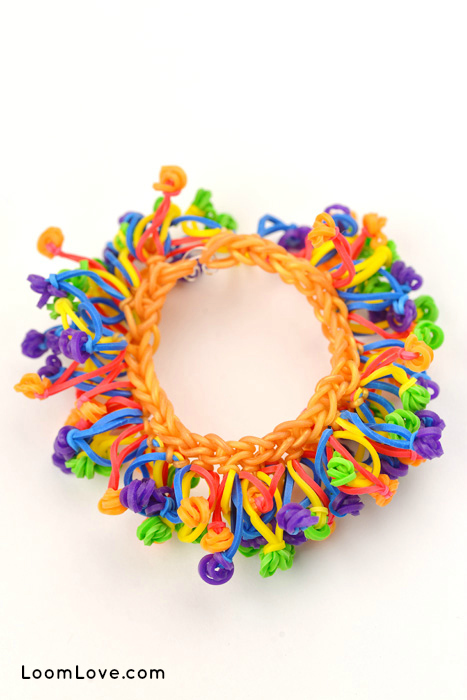 All you need for this whimsical pattern is a Rainbow Loom hook or a crochet hook and loom bands in a variety of colours. It’s crucial that you know how to create a slip knot with your bands before you attempt this design. Once you’ve mastered that, you should have no problem creating this pattern. You can wear it on your wrist, or your ankle. Wow! That looks so hard! I don’t really loom anymore, but I still look at this everyday. I’m the one who won your contest. When are you going to do another contest? And if you do, I think the prize should be a monster tail ’cause there only like $7. P.S. This bracelet doesn’t look like it could be made with no loom! 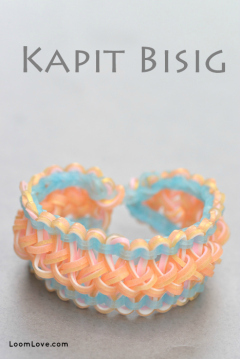 This loom bracelet is super cute! It is possible to do it without the loom! It’s one of my new favorites! A little tricky at first but I gets easier! Made on just the hook!! I’m not sure the prize would be very popular if it was a Monster Tail, because a lot of people have it now. I definitely wouldn’t be very pleased, since I already have a Monster Tail and you can’t connect Monster Tails together like you can with Rainbow looms. yeah, it never really started where I live, Texas, but I’d participate too. That’s so cool I love in Texas too and people don’t seem so crazy about that either.. 🙁 I love looming i just don’t have enought bands and they are very expensive these days! Its not fair! I wanted to participate in the giveaway but they didnt list Singapore as one of the countries they would be giving away to if the winner was there. 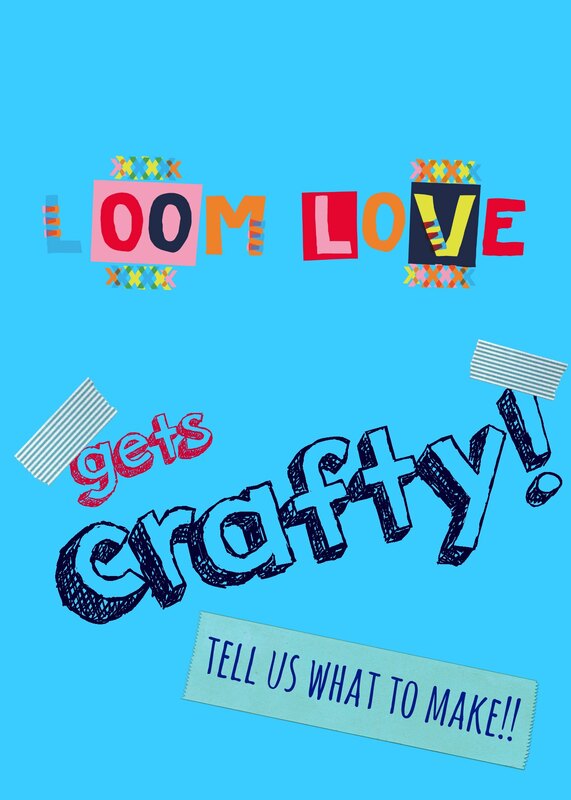 Loomlove, my whole school in Singapore is cray to the zee about Rainbow Loom. My school isnt small. So could you please, the next time you hold a contest, make it available to Singapore? You’re the one who won the Loom Love Gets Crafty right? Congrats! I’m soooo going to give this a shot!!!!! I have made all of your bracelets they’re so cool. It isn’t hard at all, if you know how to create a slipknot, as LoomLove stated ‘its crucial that you know how to create a slipknot with your bands before you attempt this design’. You pull one loop through the other. For example, you know when you make like a starburst bracelet or something, and you’re at the end and done looping, you have to bring that one band through all those bands on the last middle peg? Well, pretend that’s what you’re doing, except pulling one loop through the other. This looks really awesome! Totally gonna make one of these. That is so cute. It’s kind of crazy looking, in the absolute best way possible. And the colour combination you guys picked? AWESOME!!! Is that a movie reference? it looks hard 2 make is it a challenging 1? No, it isn’t. It looks hard but its actually very easy if you can do a slipknot correctly and quickly. I made one and I think my colour scheme looks amazing! Its catagorized in Challenging, but its not really true to its category. Hi! 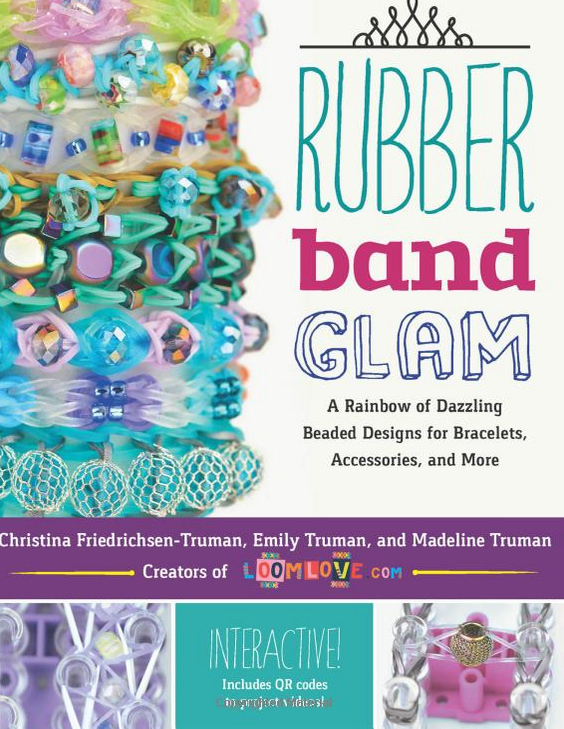 I just wanna know if there’s a tutorial for tangled garden bracelet that consist with rainbow loom? I love your tangled garden bracelet design its so nice. I wanna make one. thanks! U could make it on a loom, but its harder than doing it on a hook. OMG this is so amazing! I will definitely make it when I get more bands!!! Hey Loom Love, can you guys try to design a challenging bracelet that is thinner? I’m up for a challenge but I prefer thinner bracelets to ones like sailor’s pinstripe and snake belly. Thank you so much! I love the awesome, thick bracelets more than than the thinner ones, unless its an absolutely amazing design like the Hexafish. Loom Love you must make the blaster canon it is a little bit like the snake belly and even better but it is made on only one loom! Loom Loover, IKR! The blaster cannon bracelet is awesome! I made one and it’s a little hard but so COOL! I just wanted to tell you guys that even though this is under the challenging category on this website, It’s easy! Even for beginners. It took about 30 to 40 minutes for me. I have made tons of bracelets before so I’m not exactly a beginner. 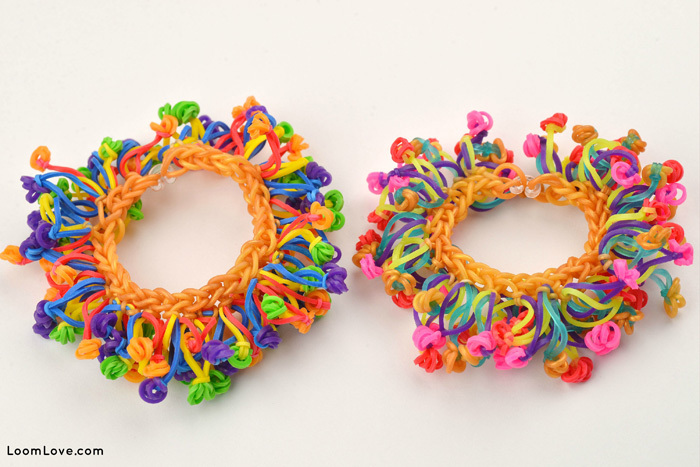 It could take longer if you are new to rainbow loom. Uber cool!! It looks so weird and AWESOME! Good job again, loomlove. It is a little confusing but once you get the hang of it, it’s pretty easy. I made 3 of these. Can’t wait for you to post even more amazing bracelets. You should check out the blaster cannon bracelet by Loves2Loom. hey can you make this on rainbow loom or fun loom.love how you made the bracelet looks totalllllly awesome!LOL! It is a twisty and turny way to make jewlery.They are very creative.LOVE THEM LOTS!I couldn’t stop making them. They are too much for me.COOL! Omg this took me sooo long to make, but i’ve done it! Yipee! Hey again guys! This bracelet was actually pretty easy to make, though it took much time and patience. You basically just repeat the slipknot design until it fits you exactly. I made an anklet. I used white and purple for the inside single chain, and it’s pretty gorgeous 😀 Also, for lazy people or people without enough bands/time, my suggestion is to make the single chain with slipknotted bands as much as you can, and then make an extension with the same color you used for the inside single chain. Also, what I did was just make many of the slipknotted “flower” band things and then, when I had a lot at hand, put them on the bracelet. How do u make the slip knot, it won’t work?! This is so cool o just have enough looms to make this but i cant find my metal hook and COOL i wish i knew where to get a monster tail .Where can u get those golden bands from because i only pinks blues yellows muti-colours and i live i NZ auckland and nearly everywhere i go i see people wear loom braclets or buy them . Sign your number 1 fan #SharonAnderton! 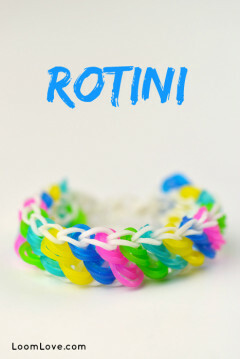 This bracelet is so cool and so fun and easy to make. This bracelet is totes AMAZE!!! I am just sooo in love with RL!! Am I doing something wrong or is it possible for the slip knot to go over the little band ball on the end and come undone? Hope you understand what I mean and can help as I think this bracelet is so unusual and not your typical loom band style!!! Hi guys, firstly, thank you so much for this fabulous tutorial. 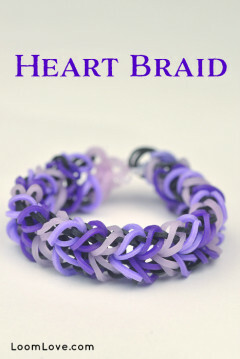 It’s the first one that really caught my eye when I first began looming and looking for bracelet tutorials. I just attempted my first Tangled Garden last night, I thought it was going to be so difficult because of how detailed the finished piece looks. I was also slightly daunted by the whole slipknot thing, I hadn’t quite figured out how to do them confidently yet, simple as they now are!! lol. The slipknot did not turn out to be the issue after all. The tricky part for me was something that somebody else mentioned in the comments above, whilst assembling the bracelet on the hook as I was making it, the stitch/chain pattern of my bracelet didn’t look like it was supposed to. I just wanted to share a little tip, a way around this issue.. I actually made all my flowery hanging pieces first, kept them in a little pile to the side, and then assembled the bracelet afterward, still in the same way the video shows, but I really found it easier to do it this way, and the entire bracelet turned out perfect on my first attempt, and it is beautiful. I made a second one today. So, I hope this little tip helps anybody who is having trouble putting the actual bracelet together as they go along. Leave it til the end. Really is much easier if you’re struggling to do it the other way around. Good luck..
Ps – I have a large wrist and I made around 32 of the “bunches” of three flowers and then assembled my bracelet. Is there a way to make the “Tangled Garden” on the loom? No. it’s better to make on a hook. OMG guys, this is gr8! Love this style…… Easy, except for the part where you go on making these bunches of three flowers. I’m making the same color combo as LoomLove. 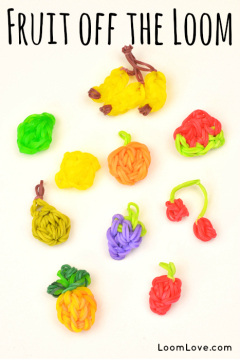 Slip knots are easy, always knew how to make one. My area is bonkers over these! Trying to make as many as possible to outdo my friends! LoomLove, your bracelets AND the site rocks!! Thanks a lot! I made this bracelet in my spare time as a little project and had it completed in two days. I am very pleased with the result as I made a fishtail version which, I think, looks way more effective. Also, does anyone know where I can find some good anklets to make? Apart from this one, of course! I didn’t know tangled gardens are so easy the first step is like making flower. I tried but then I made a flower. I made this super bracelet twice already, with great succes! I’m not wearing it as a bracelet but as a ankle strap!!!!! People always ask me where I bought that beautifull ankle strap LOL!!!! I always choose the difficult bracelets, because most people make the easy ones, so everybody wears the same bracelet. I prefer the special bracelets!!! Yeah I’m also hooked (LOL HOOKED) to Rainbow looming!!!!!!!!!!!!!!!!!!!!!!!!!!!!! This is supercute but superweird if you know what I mean. Nut it is really cool. I have an anklet video my youtube name is daisy cashman.hope this helped you sophie! Sorry should have typed AND Google!! It looks easy so I’m going to try it!!!???????????? Where did you get all these colors? They are beautiful!!! This is my favorite bracelet to make! Thank you so much! It’s unique, pretty and pretty easy! Love it!!! Hi , Loom Love I am Valeria from México i am reading the coments of other person sin this page and they say it tales forever to do this bracelet i really need to know if the steps are clearly . Hey I lovednthis tutorial, I have made so many of these bracelets! Omg! I am totally loving the Look of this tangled garden loomlove! I can’t wait to make it and I am going to make one right after I finish this comment. I’ve made your squared single for a friend and they loved it! Thanx saviour of loom bands! That was fairly easy (but I am advanced). You gotta remember to pull(stretch)the bands on the flowers after you make the slip knot, other wise you bracelet flowers will look short and stubby. Ya I forgot to pull the slip knot and when I finished it all fell apart. It was a very cool idea and I just ?? it. I made one and it wasn’t really that hard. I can’t get the slip knot on it! It falls apart and makes something else. When I try to do other bracelets I make a slip know accidentally, and I forget how I did it. I NEED HELP! Yeah, I love loom love, p.s this is my first comment WILL NO BODY CONGRADULATE ME ! I do not know how to spell CONGRADULATE. This is SOSo easy!!!!! Everyone thought it was very difficult to make and it also looked very pretty, but it’s the easiest one I’ve ever made!!!!! Made it without a hook, just with bands and fingers!!!!! Woohoo!!!!! Instead of saying ‘ our ‘ it says ‘ out ‘???? IT’S REALLY HARD!!!!! BUT IT LOOKS REALLY NICE I CAN’T DO IT.